COMING TO THE PROMISED LAND 7 - SEE YOU IN NEW MEXICO!!! REMINDER! MEMBERSHIP DUES - SUBMIT YOURS TODAY! 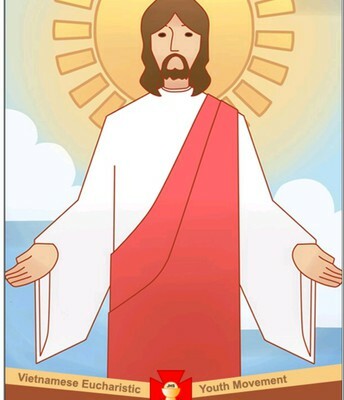 As we enter Holy Week, please remind your youth members to finish strong with our Lenten journey. This could be your experience this summer. Don't miss out the opportunity to engage with EYM/TNTT members from over 40 countries around the world at the Vatican with Pope Francis. 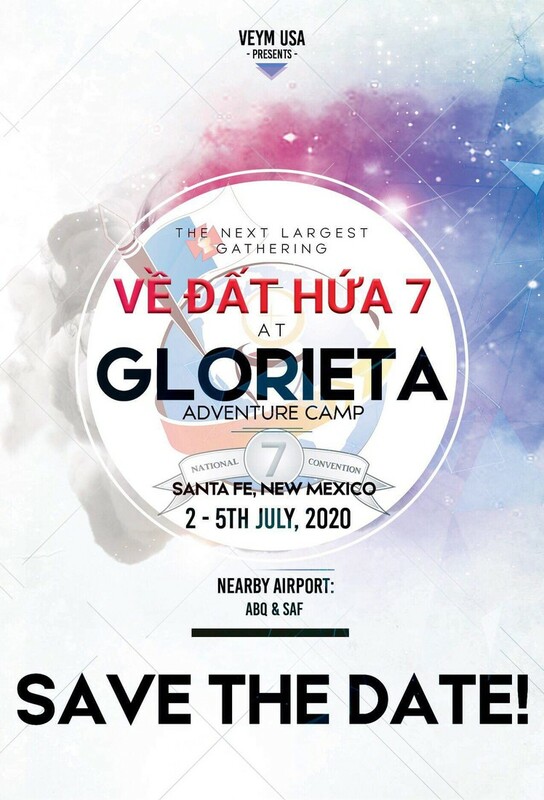 All are invited to join in this 175th grand celebration of the founding of the Pope's Worldwide Prayer Network (formally known as the Apostleship of Prayer), in which the Eucharistic Youth Movement is a branch of. Join us! Yay... the latest Bylaws have arrived! Contact our TNTT store and place your order quickly! $5! 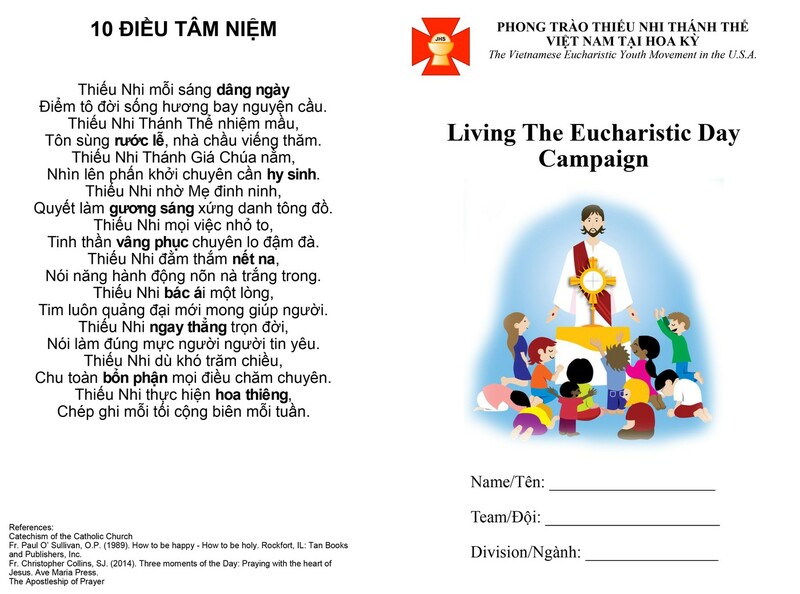 In alignment with our mission to be good Catholics and contributing citizens in building a better society, the National Executive Committee is thrilled to launch the VEYM Heroes Initiative. 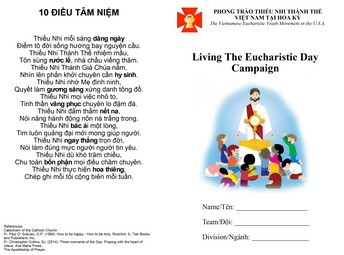 This project aims to mobilize and empower VEYM Chapters across the country to answer the call of discipleship and journey beyond their parish walls to help the marginalized encounter Christ through charitable and apostolic works. Please review the attachments and share widely. We're excited to announce the general availability of signing up for a VEYM account (@veym.net). Your VEYM account is your single identity moving forward. This account will be used to sign into many of VEYM's online services. Please send VEYM/TNTT related emails from your VEYM account as well for data privacy and security reasons. Treat it as any other work or school email. We know we know... another email?? Don't worry the transition is seamless and we're here :to help you be successful with your account and all the benefits that it comes with! You will have the ability to access the VEYM inbox, Microsoft Office 365, OneDrive, Skype for Business, and many more! You can access them by going to www.office.com. Many of these applications also have a mobile version. Just search the Google Play Store or Apple App Store for them, especially for Outlook and Teams. They are convenient and powerful tools to have at your hands, especially in your service to VEYM. 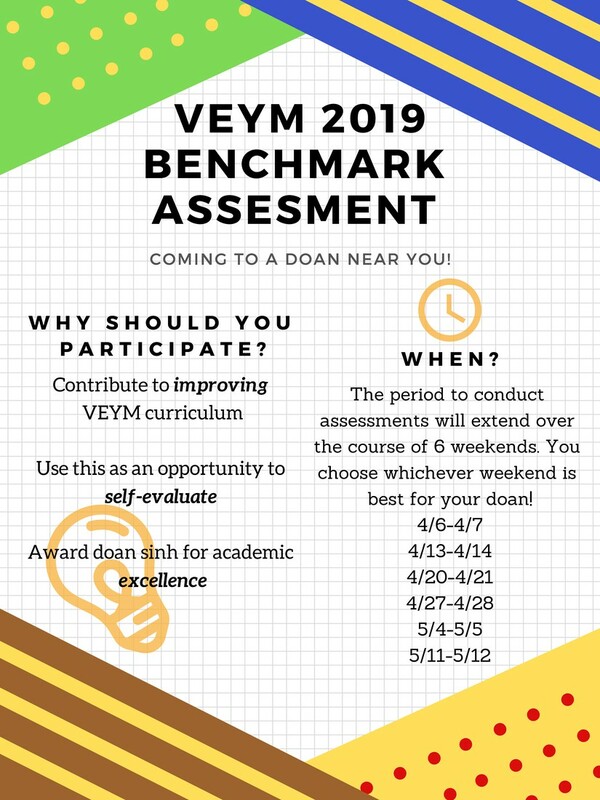 You can sign up at https://signup.veym.net. Please DO NOT sign up again if you already have an account. You will receive more info after you sign up. Additionally, our new technical support portal is available. You can visit https://support.veym.net for constantly updated "how-to" articles and solutions to common questions with your VEYM account and Office 365. You can also submit technical support tickets here and track the progress as well (as long as you're using your VEYM email). The VEYM is grateful for the VEYM IT Team, which are many, for all the hard work that they've done over the past few months. Special acknowledgement to Tr. 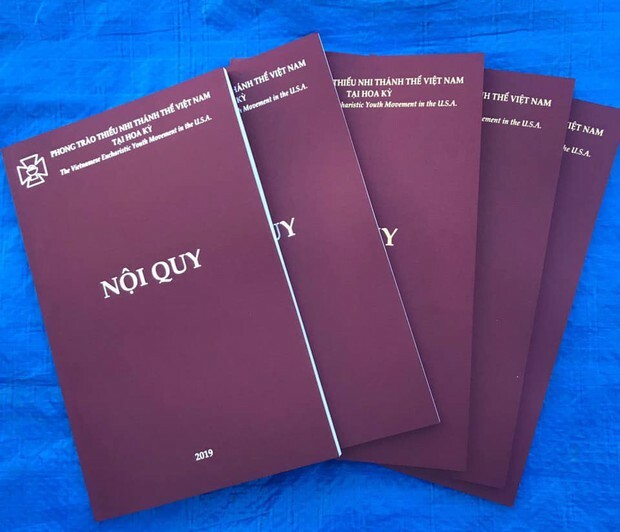 Vien M Hua (Ủy Viên Kỹ Thuật), Tr. Dao, Tr. Tommy, and Tr. Vinh whose hard work made all the above possible. The NCYC is a gathering of 25,000+ youth that is hosted by the National Federation of Catholic Youth Ministry. 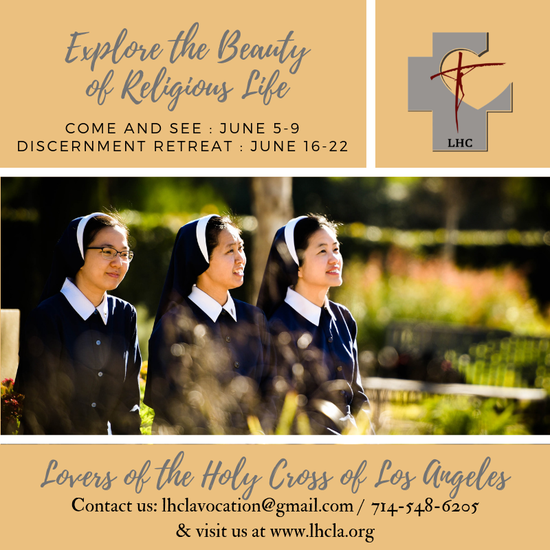 The conference takes place every two years, and includes workshops, prayer times, and many activities that will inspire and move youth in their faith journeys. NCYC’s goal is to help youth encounter Christ, experience church, and be empowered for discipleship. 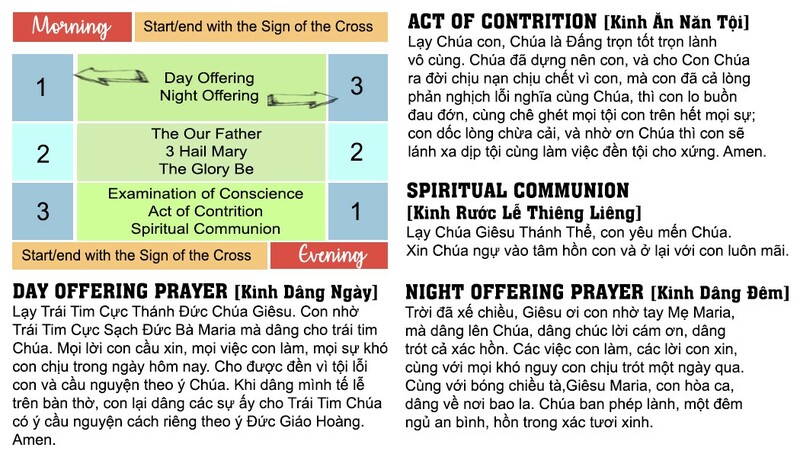 In 2017, the Vietnamese Eucharistic Youth Movement (VEYM) was asked to participate in NCYC in a very special way – leading the conference opening procession, performing a cultural dance in the opening ceremony and serving in the opening prayer session. 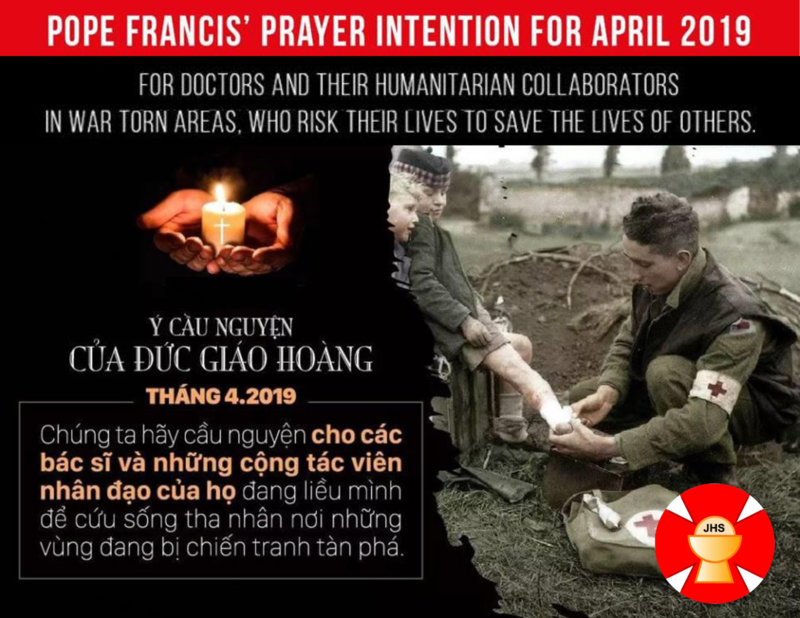 We had over 35 VEYM members from various Chapters in Liên Đoàn John Paul 2 and Liên Đoàn Joan of Arc, formally known as Miền Trung and Miền Đông Nam respectively, there to participate. It was an amazing opportunity for our youth to share their love for Christ with the young Church of America. Videos of their participation can be found here at https://youtu.be/xpo6FvT2IS8 and https://youtu.be/qtW0ET-KLFc. 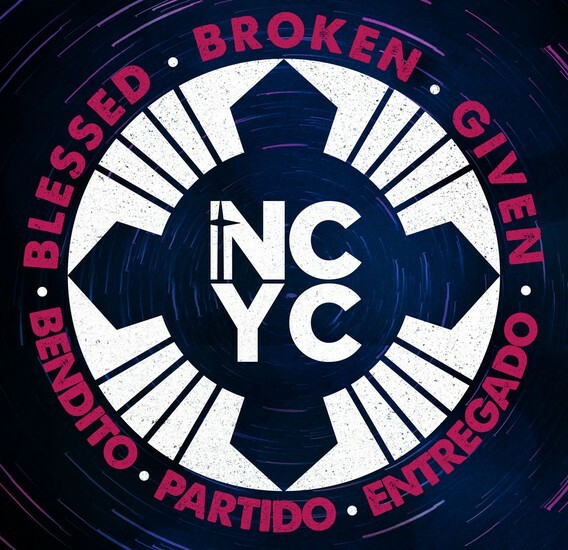 The next NCYC is from November 21-23, 2019, in Indianapolis, Indiana. The event is open to 9th-12th graders, recent high school graduates, and their chaperones. 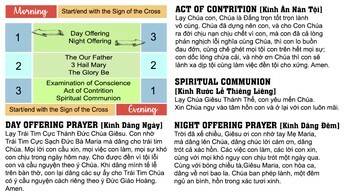 NCYC is a great opportunity for our young Vietnamese Catholics to experience the universal Church outside of our own parishes. Therefore, all Chapters are encouraged to prayerfully consider attending the 2019 NCYC. Our strong attendance at NCYC also helps to promote the diversity of the Catholic Church in America, and we would be so excited to have you represent VEYM at a national event like this! 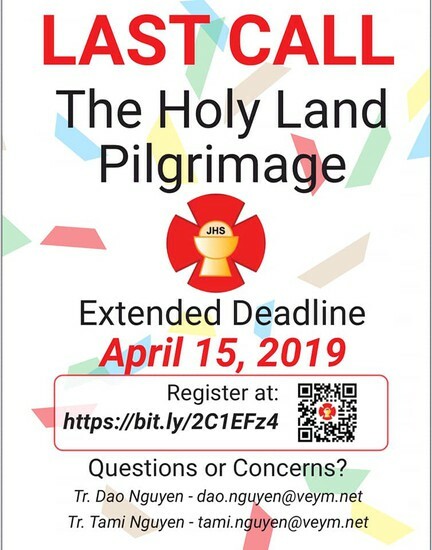 NCYC accepts and processes registrations by Diocesan delegation only. 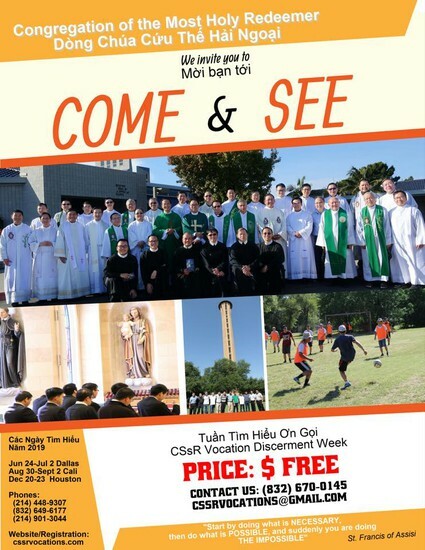 Therefore, any VEYM Chapters or that would like to coordinate your group to attend, must register through your local diocese delegation. 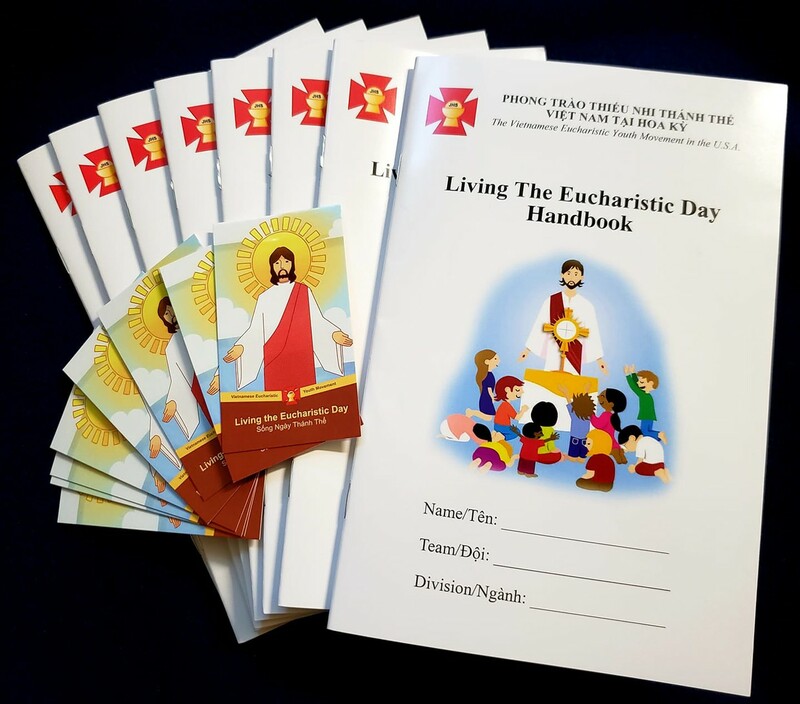 Many dioceses are beginning to promote registration within their dioceses already. 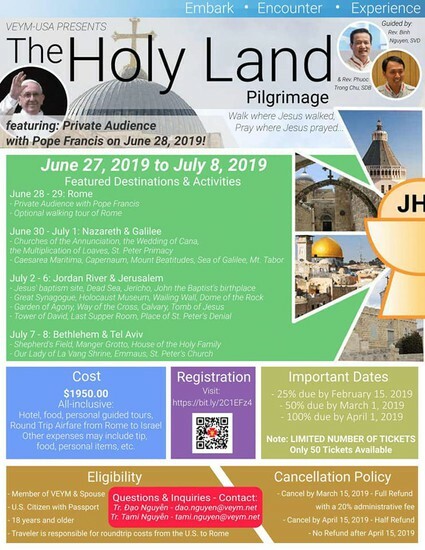 Because the travel distance is different for every delegation, cost to attend varies by diocese and typically includes travel, lodging and conference fee. 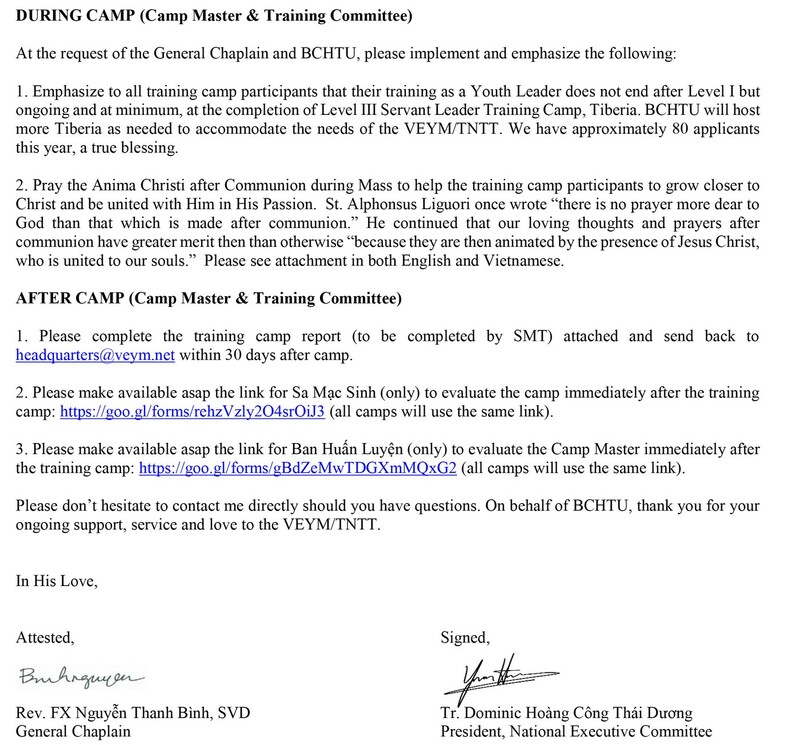 There are also opportunities through the National Federation of Catholic Youth Ministers for youth scholarships. If you are interested in taking a group from your Chapter or League, please contact Tr. 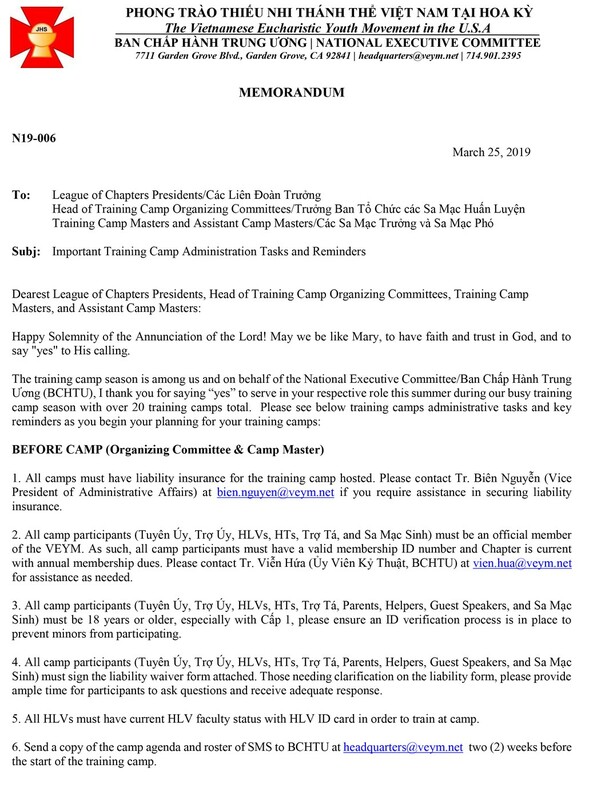 Chi Pham Liz Chi Pham at chipham.sasjhparish@gmail.com for more information on scholarship and early-bird registration for NCYC is June. Tr. 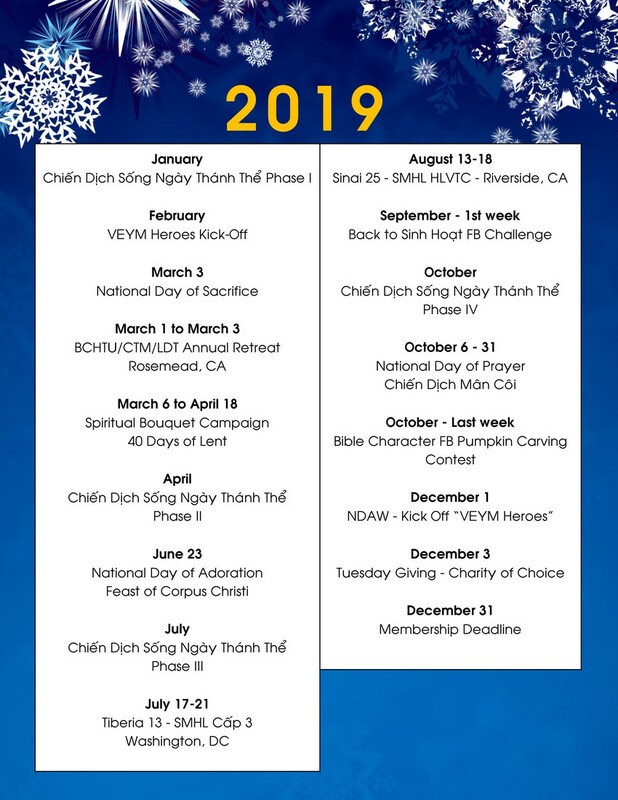 Chi will help get you connected to your diocesan delegation, keep you informed of scholarship opportunities, help us coordinate any specific VEYM activities while at NCYC, etc. Tr. 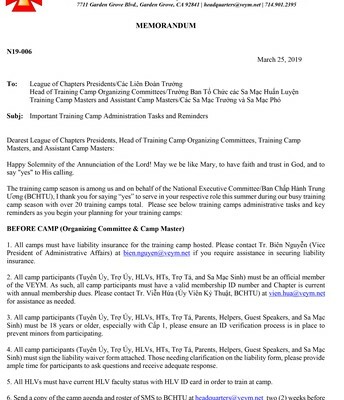 Chi Pham will also be representing the VEYM and coordinating with all Chapters/League of Chapters in attendance. Sharing a bit of good news from our HS. Congrats Ashley!!! Proud of you. She's with the new Archbishop of Washington! 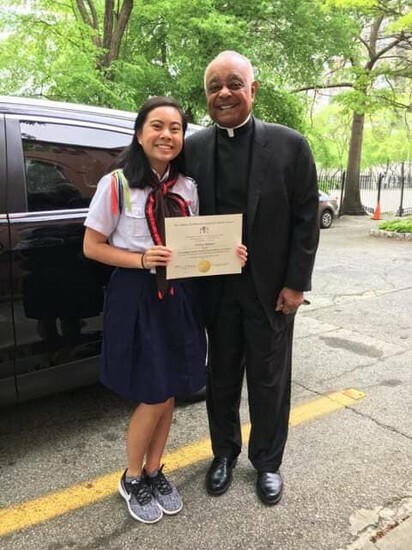 She was recognized during the Annual Recognition Day Mass at Basilica of the Sacred Heart of Jesus. The VEYM is truly sorry to hear of the loss of Phaolô Hoàng James, father of Tr. James Hoàng, LĐ San Diego, formerly known as Miền Tây Nam. 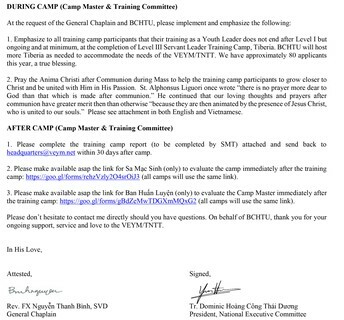 Please accept out condolences and may our prayers help comfort you and hasten the journey of Phaolô to Heaven. 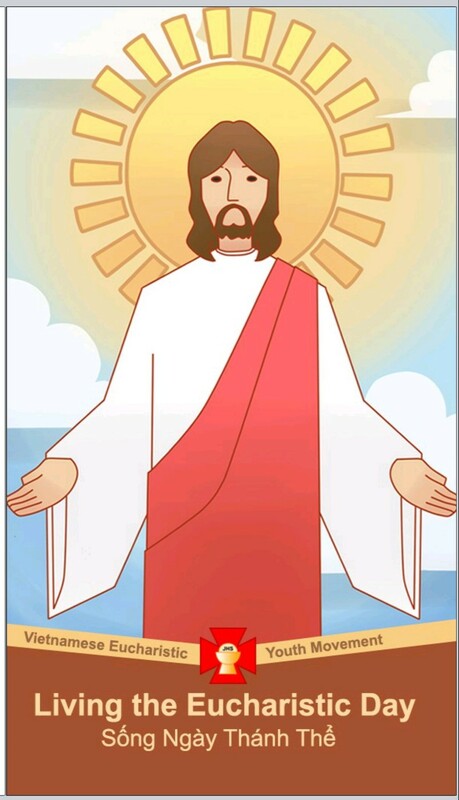 May Jesus in the Eucharist, through the intercession of Mary, have mercy on Phaolô and deliver Phaolô to His Heavenly Kingdom. Amen!